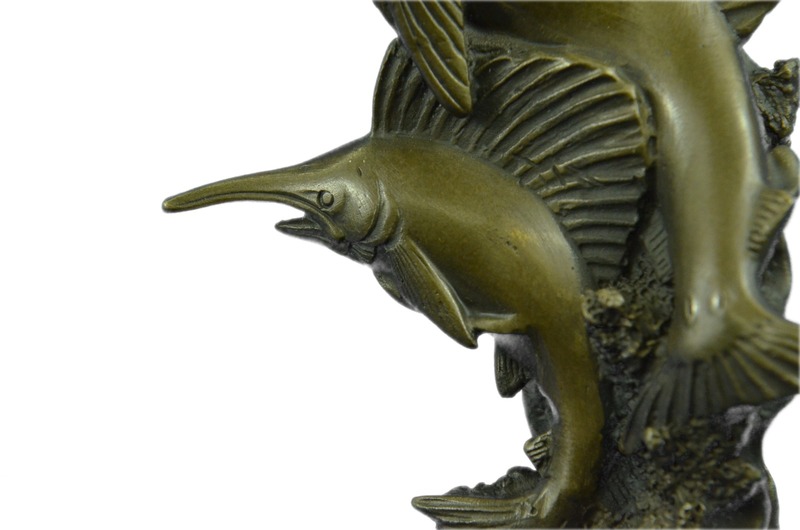 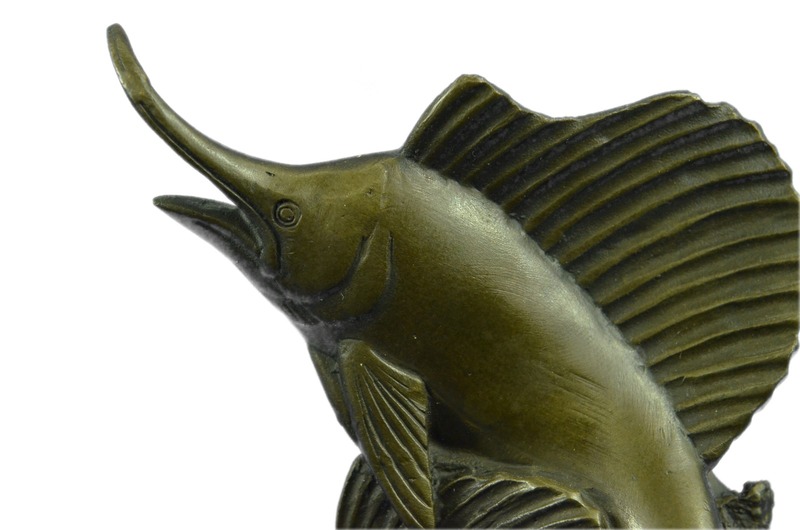 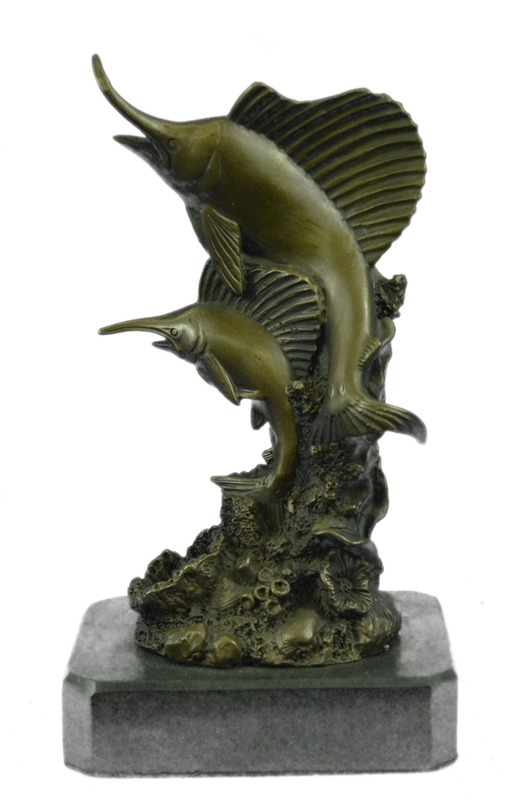 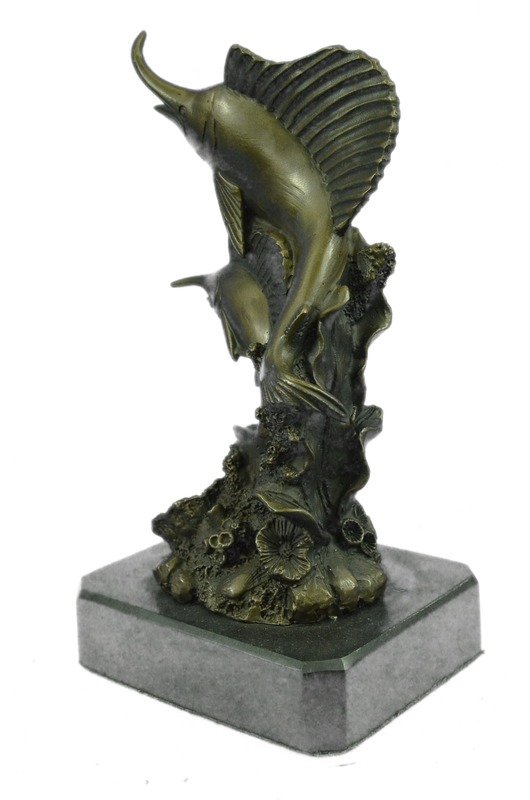 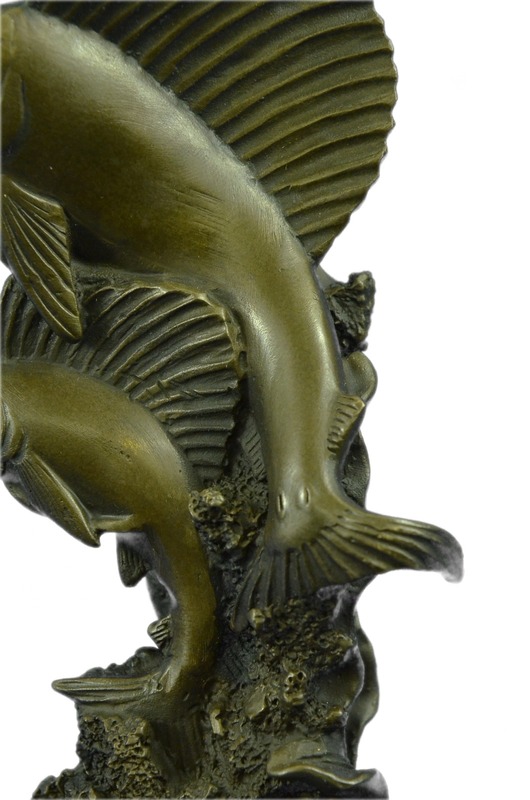 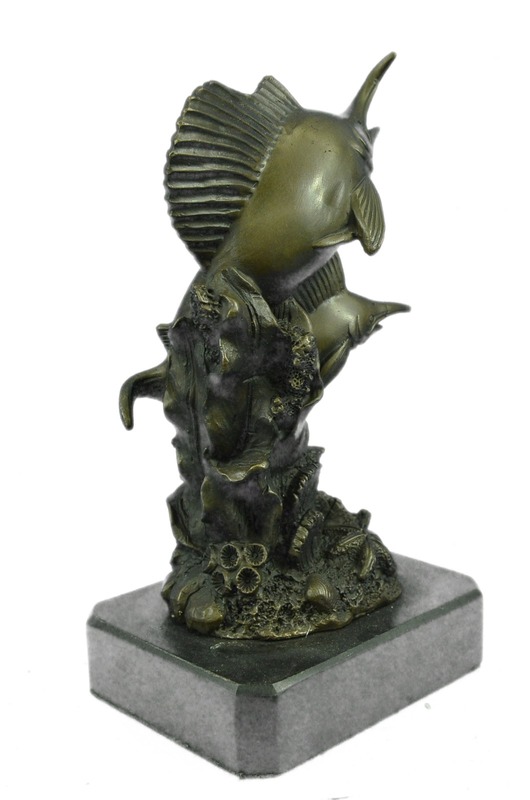 European Bronze Miniature Bronze Sculpture Captures The Dazzling Beauty And Dynamic Shape Of A Blue Marlin As It Leaves The Surface And Is, For A Brief Moment, Airborne. 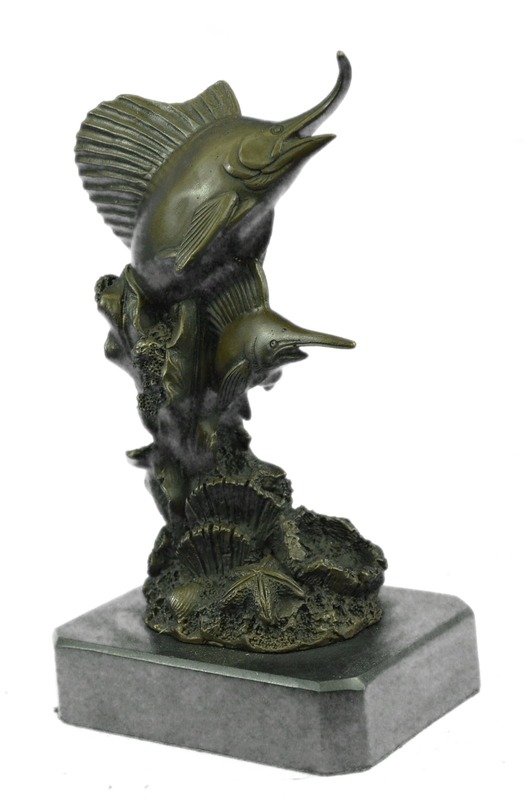 "This Was Commissioned By One Of Collectors," And I Hope To Showcase One Of These Pieces As A Public Monument At The Entrance Of Kona, Hawaii, Where The Blue Marlin Has Been Sought After And Worshiped For Years." 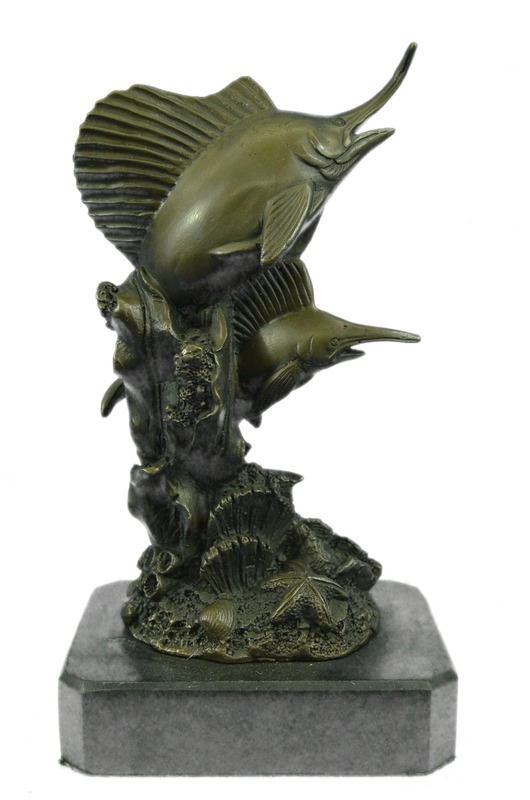 We Further Hopes That Such Depictions Will Inspire Fishermen To Tag And Release This Now-Threatened Species. 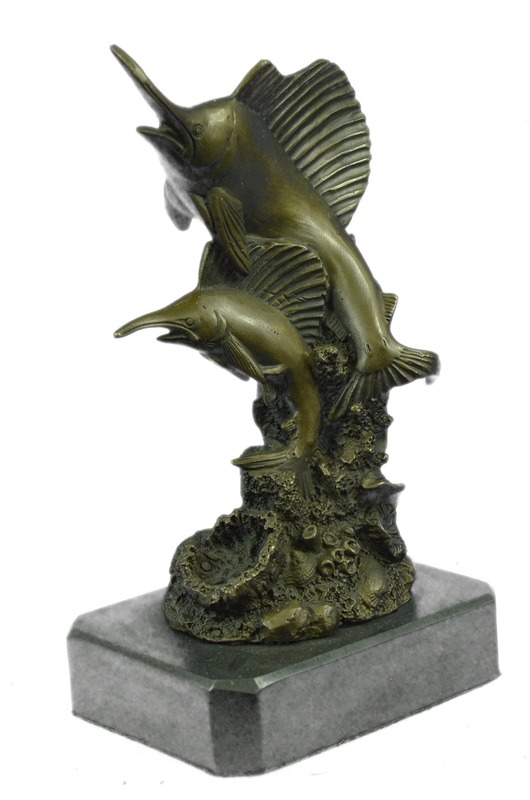 100% Bronze And Handmade, This Bronze Sculpture Was Cast Using The "Lost Wax Method" And Mounted On A Marble Base.